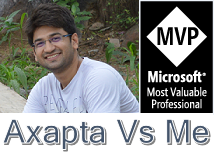 Axapta V/s Me: Ax 2009 disk full error Cannot create temporary file: C:\Program Files (x86)\Microsoft Dynamics AX\50\Client\appl\standard\tmp\$tmp001303e8.$. Ax 2009 disk full error Cannot create temporary file: C:\Program Files (x86)\Microsoft Dynamics AX\50\Client\appl\standard\tmp\$tmp001303e8.$. Cannot create temporary file: C:\Program Files (x86)\Microsoft Dynamics AX\50\Client\appl\standard\tmp\$tmp001303e8.$. There's a registry setting which tries to create a temporary sub-directory each time a user connects to a Terminal/Citrix server. Couldn't find this solution posted anywhere else on the internet so it looks like this is a first. Hurrah! I was getting this on 2012 R2 and R3 as well. We were also receiving "unable to save template.ico" warning messages. This appears to have resolved both of those issues. Thank you.